I don’t think this is a great book. But I needed this book. The first half is better than the second half, and there IS something to take away from this book, which is what the author attempts to get at during that first hike. Murray is different. He’s not perfect, he’s not mystical or transcendent, but Murray lives in a peculiar way that flows in opposition to most of us. He operates in real time. I don’t see him falling prey to much of the convention that limits the rest of us. I’m sure he suffers like the rest of us, but he’s at least making an attempt to avoid The Matrix. 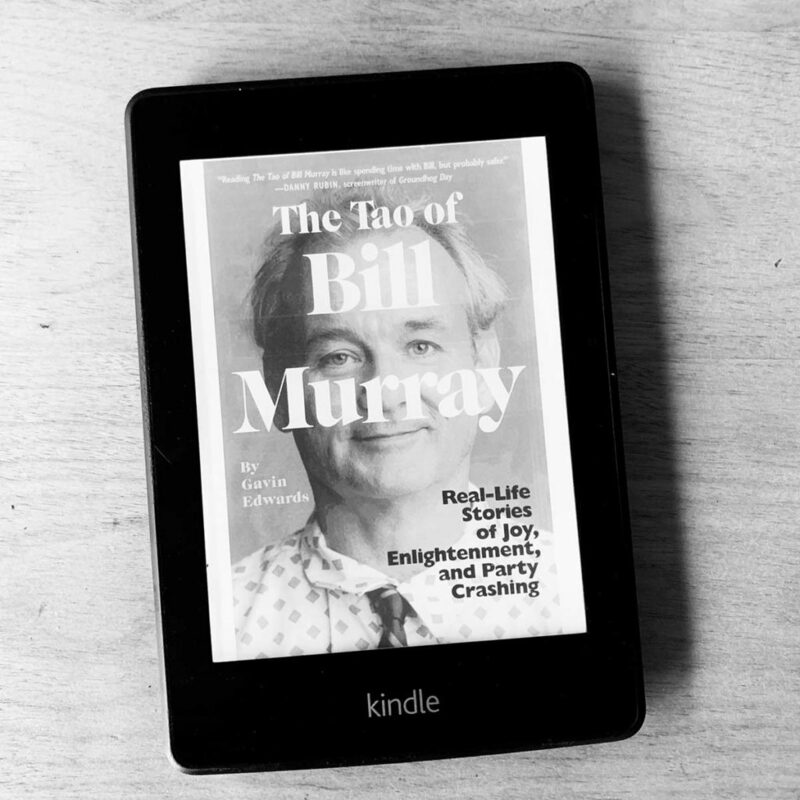 What carries Gavin Edward’s The Tao of Bill Murray are the stories the author has collected. Stories that showcase how quirky, spontaneous and alive Murray is regardless of where he is or what he is doing. If we could all take a piece of this, and share it, the world would be a better place. And let us not forget, Murray plays one of the all-time best characters. Larry Darrell. The Razor’s Edge. Get it, read it and try it out.